100% up to R1500 + R1000 totally for free! 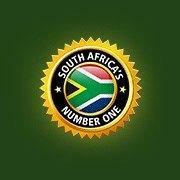 "Take it down" is one of our most played and liked promotions here at Springbok Casino. This is no surprise as the value is massive. A 100% deposit bonus followed by a R1000 no deposit bonus. There is nothing comparable out there! Please note: You have to use your deposit bonus first to be able to redeem your free bonus! How to get your bonus: Go to the cashier's 'Redeem Coupon' section and enter a coupon code above! General Springbok Terms & Conditions apply. How to get your bonus: Go to the cashier's 'Redeem Coupon' section and enter a coupon code above! General Springbok Terms & Conditions apply. The maximum withdrawal amount of your R1000 free bonus is R2500.